To some people, small churches may look frail, weak and out of touch, but no matter what happens, we keep coming back up. Small churches are not better than big churches. Big churches aren’t better than small ones. Saddleback Church deserves to be honored for baptizing 50,000 people over the last 38 years. But we should never limit our attention to churches with outsized numbers. Last week, Saddleback Church celebrated an amazing spiritual milestone. Since their founding 38 years ago, they have baptized 50,000 new believers. We don't have a limited vision. Our best contributions to Christ’s kingdom happen to be in a smaller setting. 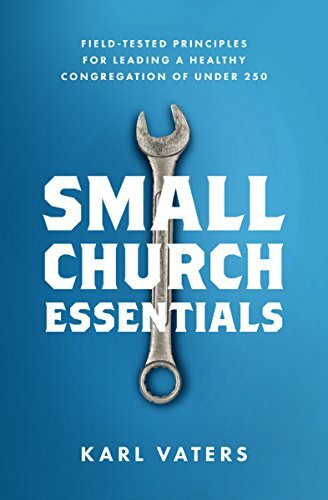 There are a lot of misunderstandings about small churches and the people who pastor them. Small church pastors aren’t bad at planning, they’re just dealing with a much more fluid situation than our big church peers. How was church attendance yesterday? In our church, we started the first service with more people on stage than in the audience. It filled in to a normal summer crowd later, but for a while it was looking rough. "You are the green berets in the Kingdom. You're on the frontline. You're doing the job that is often thankless but is perhaps most important."